A baby elephant who can fly propels the little circus he's part of into a new venture. But this new venture has a very dark side. 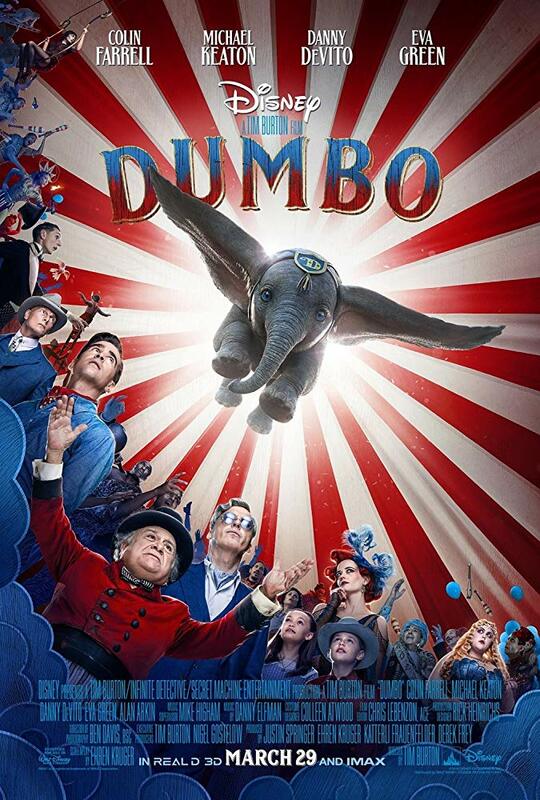 “Dumbo” is Disney's live-action reimagining of its classic 1941 animated feature. This reboot concentrates more on special effects than story. As beautifully executed as the movie's CGI is, the film lacks deepness in its core characters. Little is done with the principal cast, other than hitting their marks and saying a few lines. The film meanders through the story hitting a high note once in a while, but always keeping the audience at arm's length. The viewer is left with mostly forced emotional moments that the audiences can feel are artificial and gratuitous. “Dumbo,” is like a candy bar, full of sweetness and buried in a great wrapper, but once sampled is nothing but empty calories. Because it is so sweet and offered great special effects which countered its lackluster and maudlin script, “Dumbo” gets a C and is rated G.